Bill and the client talked at great length about the job and agreed on a date to do the work. 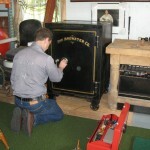 Bill traveled to Massachusetts and within a couple of hours of being on the job site, had the safe open by manipulation. 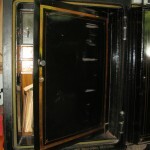 Among other things inside the safe was the original paperwork between the Diebold and the man's great grandfather. 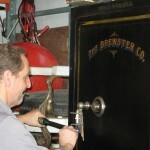 The safe had been delivered in February of 1924. Also inside was the original combination on the original paper from Diebold, the exact numbers Bill had used to dial open the safe. 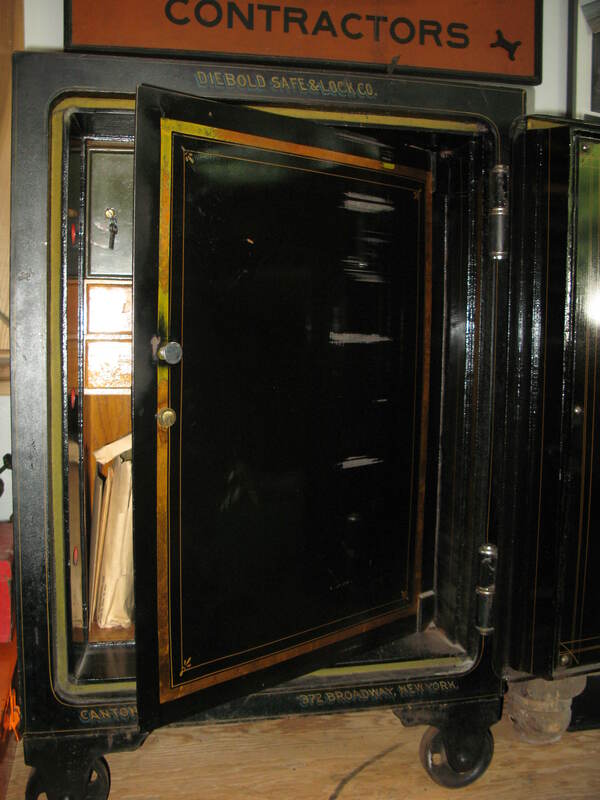 All of the inner compartments had the original antique flat steel keys, except the drawer that was labeled as the grandfathers. 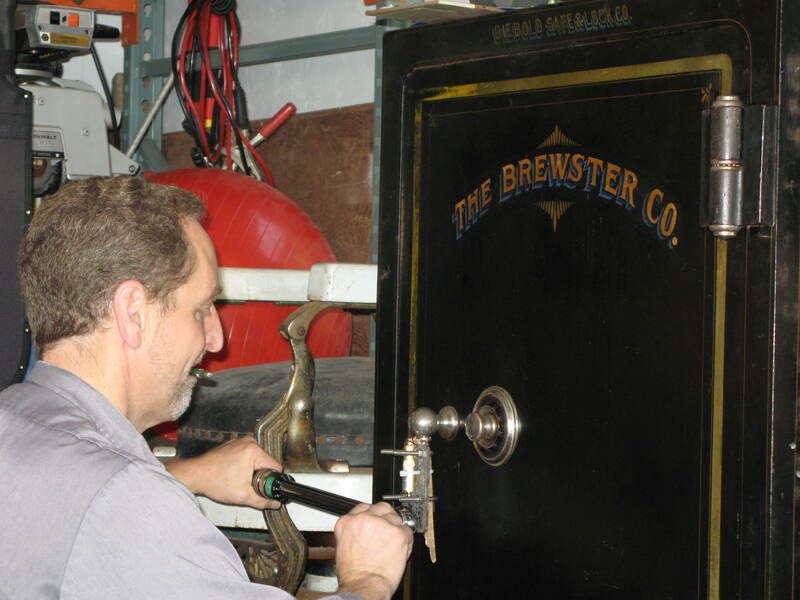 Bill took the lock back to the Linden, New Jersey shop, found as close to original antique key as possible and made a new key for the lock. 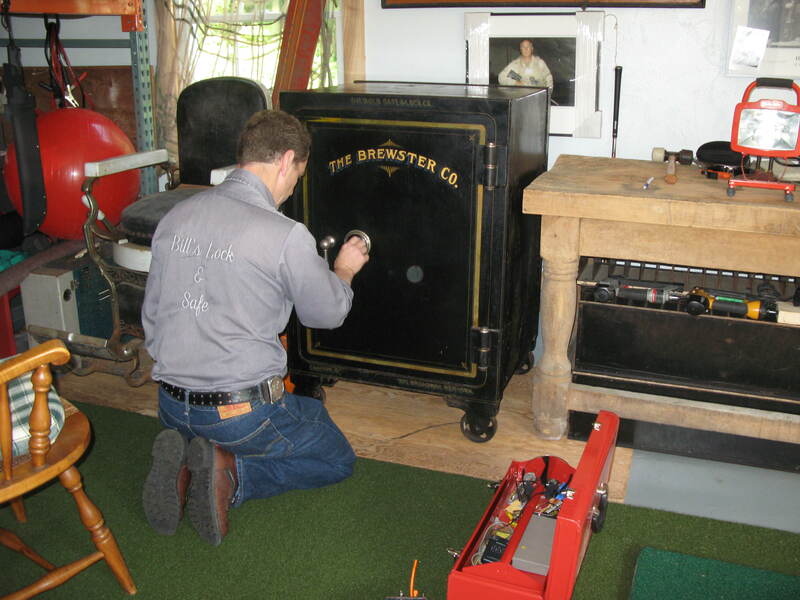 Bill then sent the lock back to his new friend in Massachusetts.